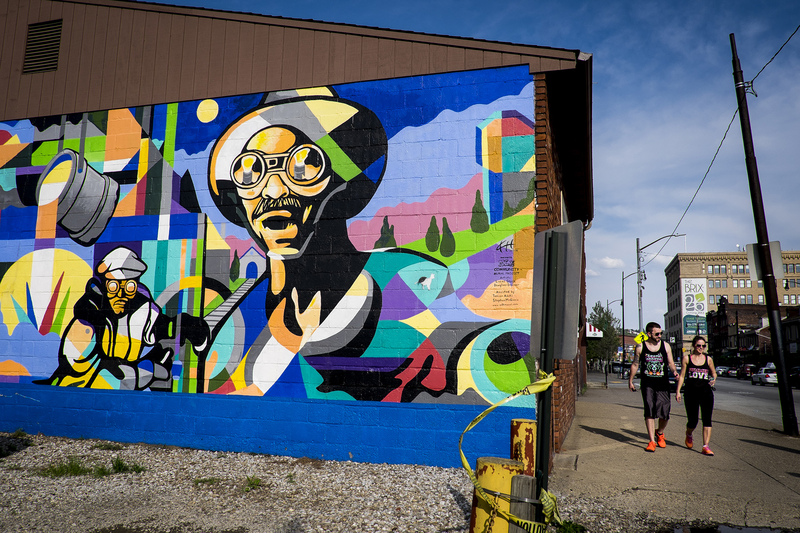 A mural on the side of the Veteran's Leadership Program building on Pittsburgh's South Side pays tribute to veterans of the Pittsburgh region’s steel industry, with figures based on the black-and-white photography of photojournalist W. Eugene Smith. Other parts of the mural also pay tribute to the U.S. military. Ironically, the steel industry that brought Pittsburgh international fame existed almost entirely outside of the city limits, on the banks of the famous Allegheny, Monongahela and Ohio rivers. The only exception was a Jones and Laughlin complex on the Monongahela River. Other famous steel mills were located farther upstream in the towns of Homestead, Rankin, Braddock, Duquesne, McKeesport and Clairton. Downstream, along the Ohio River, other mills stood in Ambridge and Aliquippa. 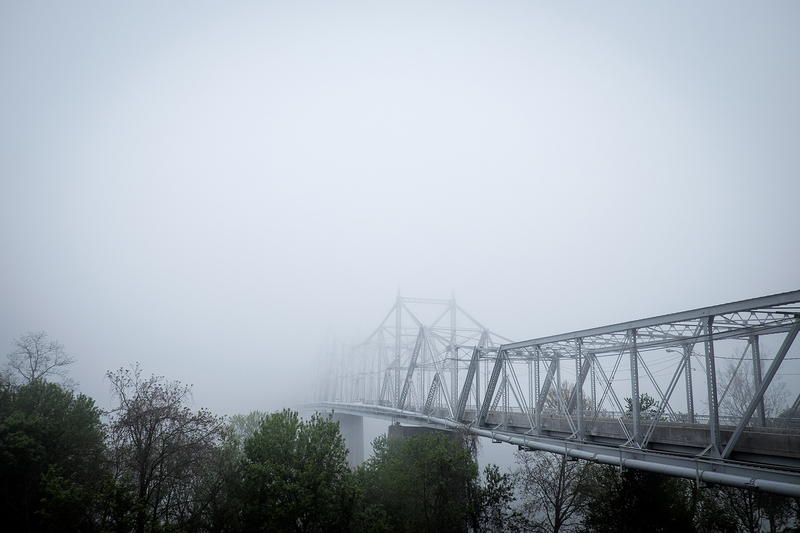 The Ambridge-Aliquippa bridge traverses the Ohio river connecting the two towns. American Bridge Company, for which Ambridge was named due to significant operations on the river, built the bridge with steel from the Jones & Laughlin Steel Company in Aliquippa. For me, it is even more personal since my mother and father were born and raised in Aliquippa, home to what was at the time the largest steel mill in the world, the Jones and Laughlin Aliquippa Works. My mother was born to Ukrainian immigrants on Plan 11 in Aliquippa, one of the housing areas J&L built for the steel workers. My dad was born to Croatian immigrants in the area now known as West Aliquippa. My paternal grandfather worked in the J&L mill for 38 years, and my dad worked in the mill for a short time after returning from WWII and before returning to the Marine Corps. I have seen firsthand how Aliquippa has declined. My parents and relatives tell stories about how wonderful and bustling the town was before the decline of the steel industry and the closing of the mill. These stories and memories compel me to tell the story of Aliquippa and its people. The immigrants who settled in Aliquippa came with dreams of a better life. And for a while, it seemed as though those dreams would be realized in the streets of their new home. But many of the people living in Aliquippa today are doubting that those dreams still exist. 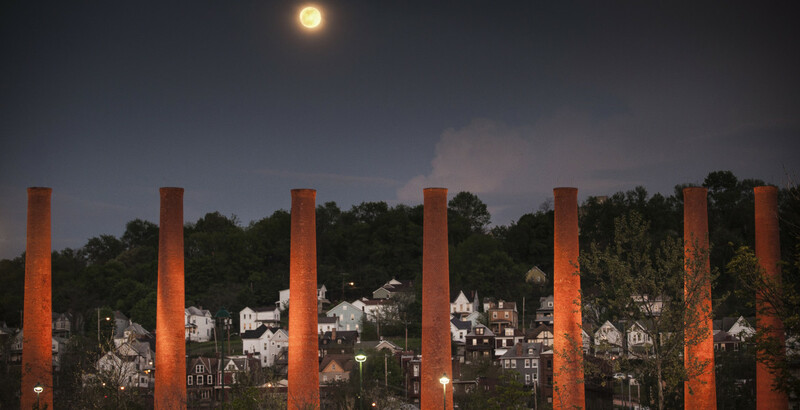 Click on the photos below to explore the mill towns near Pittsburgh.